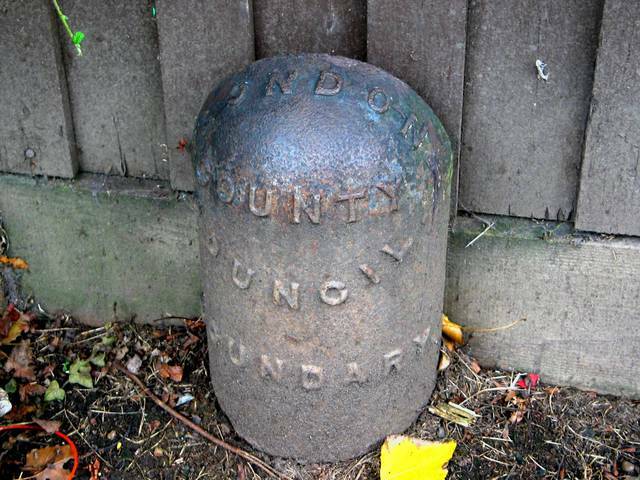 It says London County Council Boundary. I wonder when that dates from. Before 1965, my house was in Wandsworth now it's in Lambeth. When I first moved in, both Tooting and Clapham Commons straddled the Borough boundaries, but in a historic peace-making deal Tooting is now all Wandsworth and Clapham is now all Lambeth. I can't help feeling They (the Enemy) came off better in a deal that marked the characteristic generosity of Lambethians.